The Cheap Talk guys give us a short, pithy take on the organizations piece, and Steven Landsburg distills the essence of the externalities argument here. His “Problem of Social Cost” (1960) has 21,692 Google Scholar cites, and “The Nature of the Firm” has 24,501. Adam Smith’s Wealth of Nations, summed across editions, has about 30,000. Coase changed the way economists think about the business firm and the way they think about property rights and liability…. Not all economists have agreed with his arguments and conceptual frameworks, but they radically changed the terms of debate in the economics of law, welfare, industry, and more. He is the key figure in the “new institutional economics” (and co-founder, and first president, of the International Society for New Institutional Economics). The Lawrence Economics Blog’s links to Coase are here, and here is a the University of Chicago notice. If you just type “Coase” into a search engine, you will have plenty to read. Wow. Whether one looks at the texts of the antitrust statutes, the legislative intent behind them, or the requirements of proper judicial behavior, therefore, the case is overwhelming for the judicial adherence to the single goal of consumer welfare in the interpretation of the antitrust laws. That’s from the late Robert Bork, who died earlier this week. I’m putting this one in a “people you should know” category. Bork was a Yale law professor and sometimes Justice Department official who is most famous for having his nomination to the Supreme Court shot down for being too conservative, or too wacky, or too something. Whatever the reasons, the confirmation hearings and their aftermath are stuff of legend. (As was Bork’s beard!). But for economists Bork’s greatest influence was certainly in the area of antitrust, and in particular his book, The Antitrust Paradox, from whence the above quotation was plucked. Indeed, Bork is a seminal figure in the law and economics movement. Note that Bork contends that consumer welfare is the end of antitrust policy, not the protection of firms from competition, not whether a given market is competitive or not, not even total welfare (!). Think about that. Steven Landsburg says that Bork won the antitrust argument and that we’re all the better for it. Tyler Cowen also points us to some links discussing Bork’s life and legacy. UPDATE: A big piece on Bork’s influence in the Washington Post. As we wind down 3+ years of the presidential campaign, we stop to talk about the basic economics of voting. And if you’ve ever heard an economist talk about voting, you’ve probably heard of Gordon Tullock. Here’s Professor Tullock in epic curmudgeon mode giving a three-minute pep talk for tomorrow’s election. He explains that he doesn’t vote because the chance that his vote will “matter” — in the sense that it is pivotal — is zero. In other words, he doesn’t vote because the likelihood of his vote being decisive is essentially zero. If that one guy who always sleeps through my classes also happens to sleep through the election, that one abstention will not affect who wins on Tuesday. Again, here’s the Tullock video. You think we’re kidding? Here’s more in the same vein from the Freakonomics site. For those of you who are concerned that I don’t blog enough about economist Edward Glaeser, this post is for you. I finally got around to finishing up his New York Times bestseller, Triumph of the City, and it is indeed a triumph. The tagline and thesis is “How Our Greatest Invention Makes Us Richer, Smarter, Greener, Healthier, and Happier,” with “the city” being the greatest invention. It’s a provocative read, and Glaeser’s argument will have you nodding your head one way or the other throughout the book. Certainly, the book covers a lot of ground. If you’ve ever wondered why cities are where they are, he covers that. If you want to know why cities like Buffalo, Cleveland, Pittsburgh have depopulated — and why many urban renewal efforts are destined for failure –he covers that, too. But perhaps the most interesting and most debatable subjects are in the environmental arena. Glaeser spends several chapters on topics such as the “antiurban public policy trifecta” that foments urban sprawl — healthy highway funding budgets, the home mortgage interest deduction, and poor inner-city schools. While many progressives might nod their head in agreement, they might be surprised to hear Glaeser take down of high housing prices in many urban areas as “the handiwork of regulation, not nature” (p. 191). Indeed, Glaeser leverages this point in his comparison of Houston to New York City in terms of affordability (pp. 183-193), which is a very compelling explanation as to why we observe greater population growth in the southern U.S.
One of the marvelous aspects of the book is that Glaeser is not constrained to the format of the academic research paper, and consequently gets to show off how much he actually knows about his subject matter. There are a number of fascinating anecdotes and story lines as he proceeds to summarize and synthesize vast swaths of the urban economics literature –the paperback features 30 pages of endnotes and a 17-page research bibliography! For a taste of Glaeser’s writing for the popular audience, you might check out his piece “Green Cities, Brown Suburbs” at the City Journal site. Matias Busso & Patrick Kline “Do Local Economic Development Programs Work? Evidence from the Federal Empowerment Zone Program,” Forthcoming in American Economic Journal: Economic Policy. Edward L. Glaeser (1998) “Are Cities Dying?” Journal of Economic Perspectives, 12(2): 139–160. Joshua D. Gottlieb & Edward L. Glaeser (2006) “Urban Resurgence and the Consumer City” Urban Studies 43(8): 1275-1299. Edward L. Glaeser, Joseph Gyourko, & Albert Saiz. 2008.”Housing supply and housing bubbles,” Journal of Urban Economics.64(2): 198-217. Edward L. Glaeser & Kahn, Matthew E., (2010) “The greenness of cities: Carbon dioxide emissions and urban development,” Journal of Urban Economics 67(3):404-418. Edward L. Glaeser and, Bruce Sacerdote (1999) “Why Is There More Crime in Cities?” Journal of Political Economy 107(6): S225-S258. Andrew Haughwout, Robert Inman, Steven Craig, Thomas Luce (2004) “Local Revenue Hills: Evidence from Four U.S. Cities,” The Review of Economics and Statistics 86(2): 570-585. If anyone is interested in reading through a sample of these, this would make a very nice directed study project. Here is some more information on the possible Nobel winners in economics from Tyler Cowen and the guys at the Cheap Talk blog. Cowen picks the trifecta of Fama, Shiller, and Richard Thaler. Though, I don’t think The Smiths ever “ruled” the airwaves. Here’s the previous post. Make your picks in the comments thread or yell them at me as I walk by you at the WCC. 2009 Nobel Prize in Economic Science winner and political scientist Elinor Ostrom passed away this week. Her contributions to solving common pool resource problems generated praise from both economists and political scientists. In today’s The New York Times Economix blog, Catherine Rampell provides numerous links to help people understand her valuable contributions. 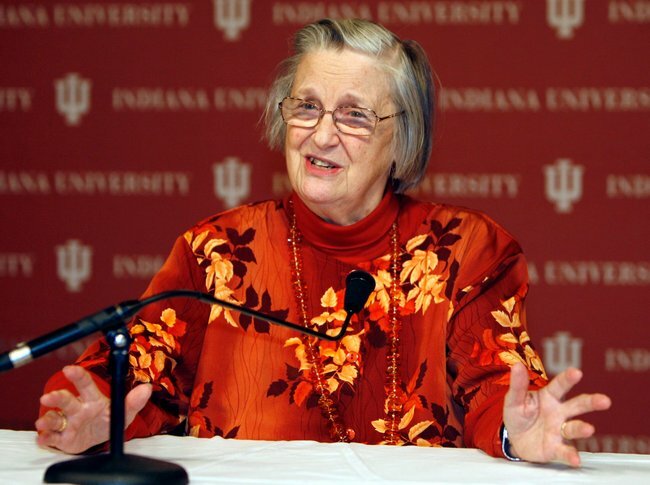 In particular, I encourage you to read Edward Glaeser’s review of the contributions of both economics prize winners in 2009: Elinor Ostrom and Oliver Williamson. Who are these thinkers, you ask? Well, first up is Ayn Rand, the notable “objectivist” author of the classics The Fountainhead and Atlas Shrugged. Probably wouldn’t have been my first choice as a big economic thinker, but she is certainly still making headlines. Ouch. Next up for the NPR listeners is Austrian school economist, Frederich Hayek. Hayek is a would-be macro rapper, market proponent, and author of The Road to Serfdom — this term’s group read. Is it ironic that National Public Radio is profiling him? Keynes himself is hardly a defunct economist, his lasting influence prompted Richard Nixon’s lamentation, “We are all Keynsians now.” Indeed, the venerable General Theory of Employment, Interest, and Money spawned Keynsianism, New Keynsianism, Post Keynsianism, and a lot of other Keynsianisms. The links all seem good to me. I’m giving this one the upstart “people you should know” tag. So get to know them. Third Annual Predict the Economics Nobel Contest… Wait, what? Well, I didn’t manage to get the contest running this year and, lo!, the Nobel Prize in Economics committee met anyway and made its awards. I’m no macro guy (who is these days? ), but the Nobel Committee saw fit to award this year’s prize to Thomas Sargent and Christopher Sims for their work in empirical macroeconomics. As per usual, Tyler Cowen at Marginal Revolution is all over it. Sims here and Sargent here. Though I disavow any knowledge of it now, I had Sargent for my macro texts back in grad school — known as black Sargent and red Sargent because one was black and one was red (I forget which was which). For some of us, the mathematics was on the challenging side, and we had to spend a lot of time solving those spectral analysis problems. I remember this like it was yesterday, one of my classmates asked if there was a “Cliffs Notes” version of black Sargent. UPDATE: Tim Taylor has a very readable, conversable even, commentary at his new blog. The Wall Street Journal has a short profile of Robert Lucas, one of the most influential macroeconomists of at least the past 20 years (when I picked up my first grad macro text). Lucas is probably best known for integrating “rational expectations” into macro models (he convinced his wife, at least). He is also the namesake of the “Lucas Critique” of using past behavior to predict the future. Here’s a nice summary of his contributions. Lucas might sound like someone affiliated with the Chicago School, and indeed, that is the case. Someone you should know. My advice for investors is to stay the course. No one has ever become rich by being a long-term bear on the fortunes of the United States, and I doubt that anyone will do so in the future. This is still the most flexible and innovative economy in the world. Indeed, it is in times like this that investors should consider rebalancing their portfolios. If increases in bond prices and declines in equities have produced an asset allocation that is heavier in fixed income than is appropriate, given your time horizon and tolerance for risk, then sell some bonds and buy stocks. Years from now you will be glad you did. This is hardly a surprising message coming from Malkiel, who tirelessly points out that index funds routinely outperform professionally managed portfolios. Indeed, I would say that the median economist believes this to be true. If you haven’t read him yet, you should think about picking up a copy of his book and getting to know it a little bit. For more on the epic market volatility, check out the always-awesome Political Calculations blog. 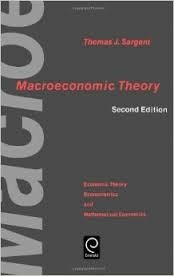 It’s time again for us to profile one of our favorite textbook authors, today featuring Jonathan Gruber of Public Finance and Public Policy fame — the text from Econ 271 last term. I certainly endorse everything about the book aside from the $200 price tag, and Alex Tabarrok calls this one of the best textbooks ever. If you don’t want to wait around for me to teach 271 again, you can go straight to the source through MIT’s open courseware program. As I pointed out in class a few dozen times, Gruber is a big deal in health economics, and Slate.com has a nice profile as part of its “most innovative and practical thinkers of our time” series. The dog bites man here is that Gruber has his hands both in Massachusetts health care reform (Romneycare), as well in the recent federal health care legislation (Obamacare). Slate’s contrarian instincts find the potential 2012 presidential showdown between Romney and Obama too delicious a prospect to pass up. Also included is an interview with Professor Gruber, along with a preview of the forthcoming health economics comic book, er, graphic novel. Wow. Last week I had a discussion with Professor Azzi about the classic piece, “Market contestability in the presence of sunk (entry) costs,” where Vernon Smith and his colleagues examine the dynamics of market structure. They find that even with the same initial conditions, an industry sometimes winds up competitive and sometimes winds up characterized by market power, a finding that we may well flesh out in IO this fall. Forgiving debt is not a good idea, but you have to realize that we don’t face any good options. If it hadn’t been done, the banking system would likely have collapsed. Aside from that note, Smith also touches upon the marginal revolution, The Theory of Moral Sentiments, and growing up through the Great Depression. An interesting half hour all around. Paul Romer has a vision of turning dystopias into engines of economic growth by establishing “Charter Cities” — new cities with a new set of rules. How does this work? Well, we’ve plowed this ground once. But for those of you who didn’t wade through The Atlantic Monthly piece, “The Politically Correct Guide to Ending Poverty,” you can get condensed versions with Paul Romer’s TED talk or his interview at VoxEU. Romer is an exceptional intellect and this is probably worth your 12 minutes. Or 24 if you listen to both.